Feeding this fast track are customers whose changing expectations are challenging and influencing traditional business models. They're demanding more effortless connections with these new services and features as soon as they emerge. When you think about it, it seems mind-boggling how the top auto industry brands are now subject to a whole new array of competitors (e.g., Tesla, Waymo, Uber), but also an increasing number of direct technology suppliers. The major players - once countable on one hand - is becoming a meaningful group numbering in the hundreds. Therein lies a significant opportunity ... and not just for automakers. If your company is engaged in the new auto ecosystem, you realize that there are a number of emerging opportunities tied to improving service offerings for discerning customers. A great example is detailed in this Spoke Intelligence PDF, which shows the myriad of firms that have something to do with transportation/mobility these days. As automakers evaluate the contribution that your company may provide in this brave new world, of particular interest is the value of the data generated by the interaction of multiple facets of applied digital technology and the mechanical vehicle itself. GM created Maven to capitalize on urban car-sharing opportunities, and is enabling the ride-sharing business by leasing cars to enterprising individuals who want to drive for Uber or LYFT. Amazon and BMW announced a new partnership where Amazon's Alexa will serve as a virtual concierge service for BMW cars. Vulog may soon develop a model where dealers create car-sharing businesses using fleets of used cars, thus adding a new revenue stream to a usually slow-performing asset. The latest KPMG Global Automotive Survey confirms that 76% of auto executives say one connected car will generate more revenue streams than 10 conventional cars. What provides the most significant value? Data – the data that comes from emerging interactions between digital assets. This is important to automakers, but what does it mean to you and your company’s contribution? 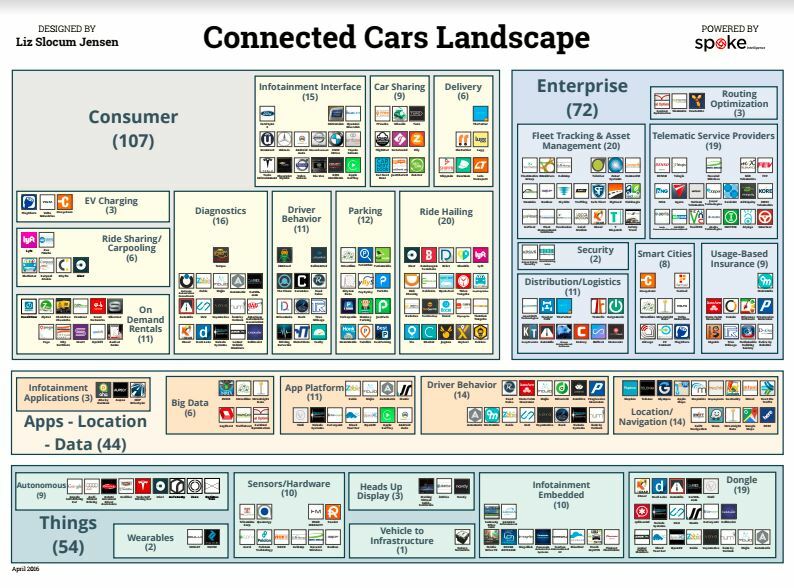 Are connected cars changing the competitive landscape from a few big OEMs to a meaningful cast of hundreds? Yes. The emergence of connected cars and the new data they produce is providing many business opportunities within and outside the automotive industry. What used to be an established, mature industry now faces reinvention and areas of growth. It's likely that we will see many unexpected partnerships and innovative service offerings emerge that will continue to shape a new and improved automotive industry. What unexpected partnership would improve your driving experience? Let us know your thoughts in the comments.